Scary stuff! 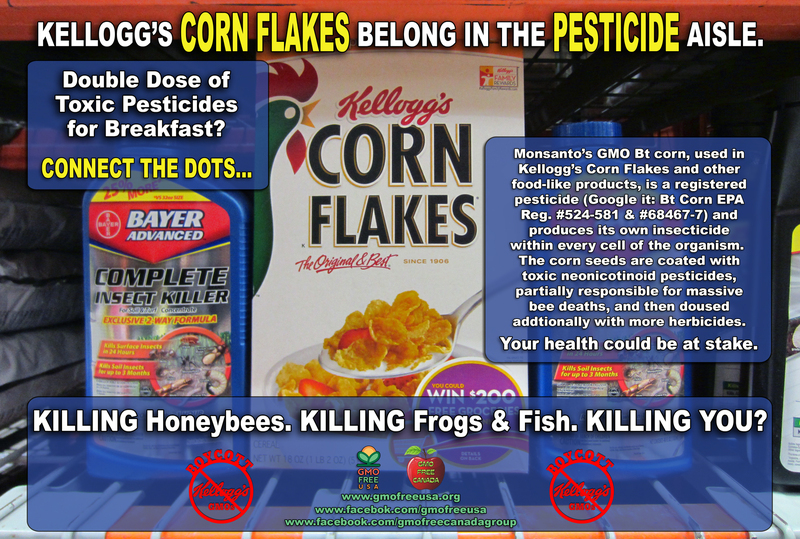 I stopped eating corn a while ago, but I will never buy a Kellogg’s product again. Remember, they are makers of many items on grocery shelves, including breakfast bars. All of these Monsanto conglomerate companies are making extremely harmful, poisonous foods. Many contain wheat or corn that creates its own pesticide. If more consumers were aware, and if GMO companies were required to label thier food, which in many states they are, with more on the way, they would go out of business. One way to strip them of their power is to stop buying their foods.